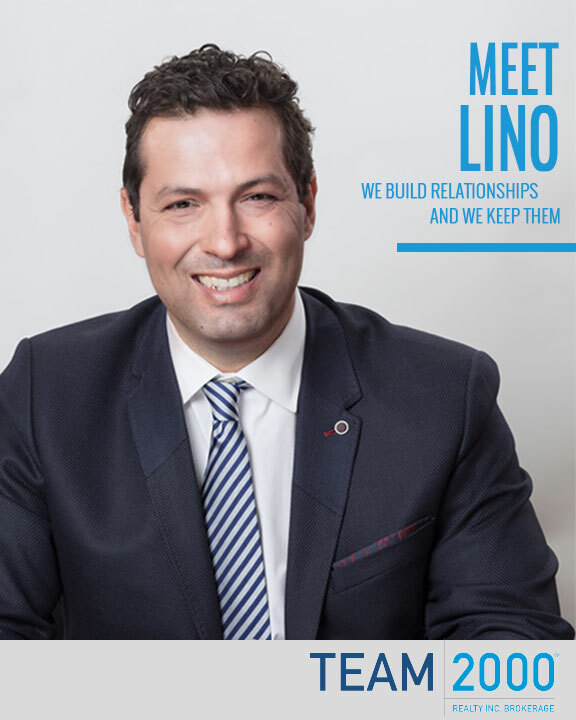 Introduced into the corporate business world with a keen interest in the real-estate industry, Lino decided to pursue a career as a real estate sales professional. In 1989 he obtained his real estate sales license and began selling both resale and new homes throughout the GTA. After many years of a successful sales career, Lino came to Team 2000 Realty and embarked on a sales management role. As Team 2000 Realty flourished in the Real estate Industry, Lino began working closer with Tony Bova the Owner/Broker and the company builder clients. Lino had begun managing various builder accounts and overseeing head office responsibilities and was therefore promoted to the company General Manager.